New reviews and posts on MetaGames have been further apart than usual over the last week. I have so many games reviews to post too, such as Dungeon Lords, Alcazar, Middle Earth Quest, Wasabi, Cuba, and more, plus replay reports on other games and a couple of articles too. Unfortunately, my workload and general other stuff has had to take priority at the moment, so I shall post reviews as and when I can, and resume the usual (almost daily) posts as usual soon. So, stay tuned. You can use the RSS feed or my Twitter to be updated when new posts are made. 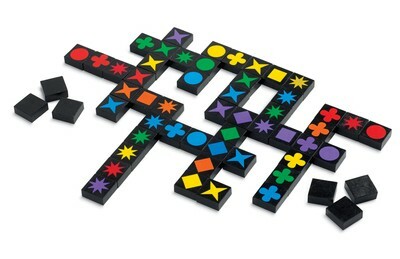 At first glance, Qwirkle reminded me of Ingenious (also called Einfach Genial and Mensa). Not a bad thing at all as I really like Ingenious and am playing it on my iPhone these days too. 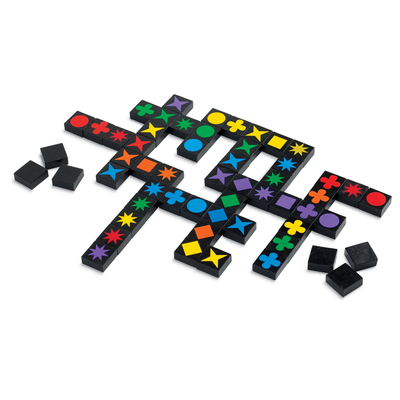 Qwirkle’s gameplay is different to Ingenious but also has a really good thinking element to it. The game consists of 108 square tiles which each show a coloured symbol. There are 36 different combinations of the 6 different symbols and 6 different colours, and there are 3 of every different colour/symbol combination. 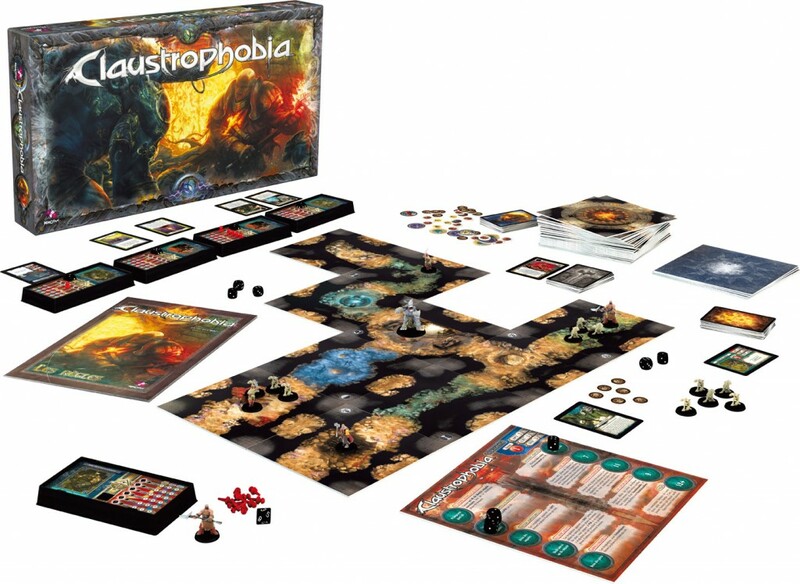 At first glance, Claustrophobia looks like it could be a fantasy-themed Space Hulk – in fact, I often call it Dungeon Hulk when trying to describe it. As a big fan of Space Hulk, this is no bad thing at all; however, Claustrophobia is more than just a re-theme of Space Hulk as it has it’s own unique gameplay too. Set in the tunnels beneath New Jerusalem, Claustrophobia is a game for two players – one playing the demons invading from below and the other playing the humans trying to defeat the demons once and for all. A Holy man leads a team of condemned thieves and murderers ‘enlisted’ to fight the demons – weak but numerous troglodytes and a few, powerful demons. 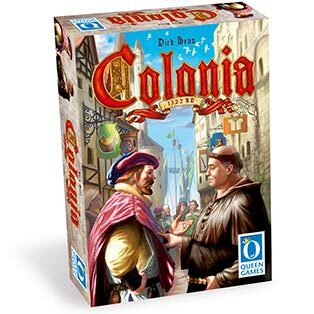 My initial review of Colonia was one of my earliest reviews and focussed a lot on how the game is played. My recent play of Colonia made me want to re-visit it and talk more about the gameplay. 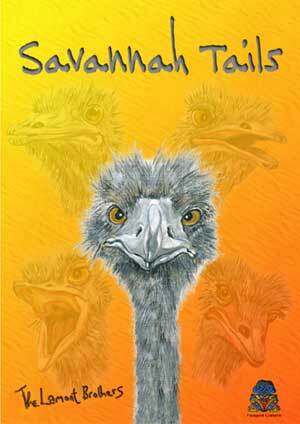 Savannah Tails is a game of Ostrich racing. The designers’ previous game was dog sled racing (Snow Tails) and this is a lighter and very different game. Each player has a deck of cards which each show one of four colours and a number from 2 to 6. The track along which the ostriches race is made up of sections – straights and curves – which can be arranged in lots of different way. Each track section shows 4 trails (red, blue, yellow and black) and each has a tree at one side of the track. 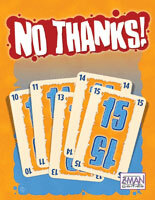 No Thanks is a push-your-luck game for 3 to 5 players. The game consists purely of a deck of 33 cards and 55 plastic chips and is pleasantly, and appropriately, low in price. 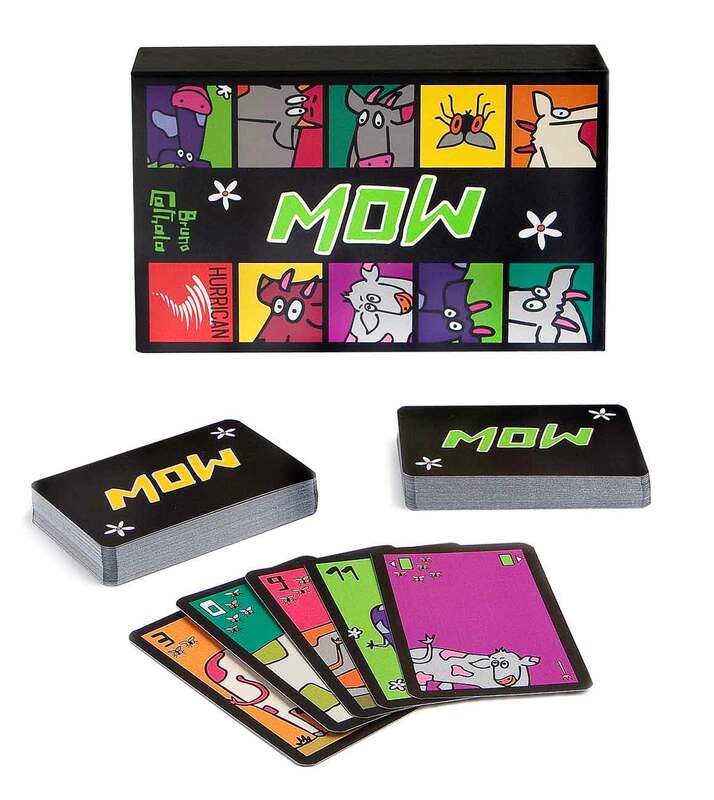 Mow (pronounced Moo as it’s the noise cows make in France) is a simple but active card game with good player interaction as each tries to obstruct the other players. 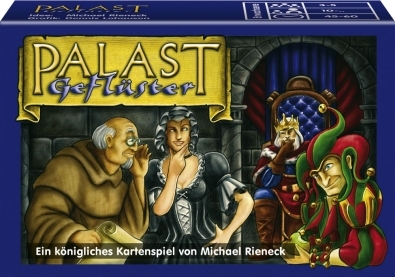 The game consists of two decks of cards – one deck is used for 2 to 5 players and the other deck is added for 6 to 10 players. Each card shows a cartoon cow and has a number on between 0 to 16, plus each has a number of flies on it from 0 to 5. Flies are bad and the players want to avoid collecting them. 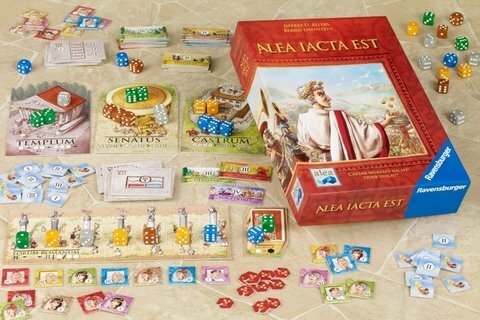 Alea Iacta Est is a dice rolling and allocation game. For any gamer who rejects games where dice are central, please read on as you may miss a really enjoyable game.